eBay will be enforcing a new links policy update. Read our summary on the update to make sure your eBay business isn’t affected. Why is eBay changing it’s links policy? Increase the security of the marketplace. Increase conversions of visitors to customers. Make sure that eBay sellers pay eBay its final fees instead of completing transactions on external sites. How will eBay change its listings? 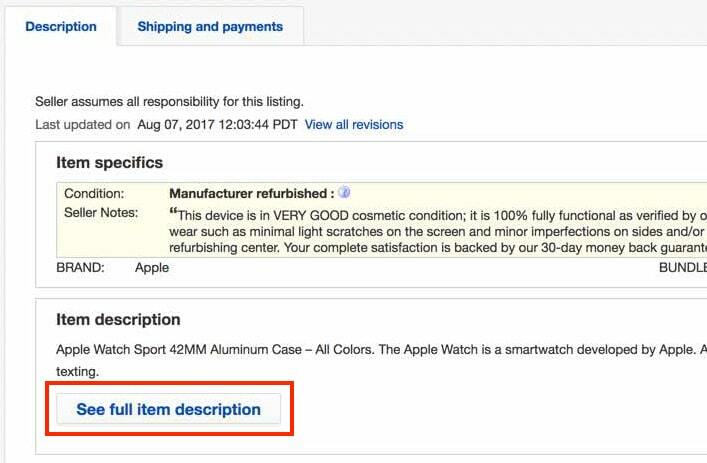 “The majority of eBay listings are already secure and will be unchanged.” However, listings with not secure HTTP links will feature key bits of information from the item description followed by a “see full item description” button, putting the full item description behind an extra click, similar to how the ios app works. What do I need to do to make sure my full description displays on the main page? Ensure that your listings only contain secure HTTPS content. You can do this using the eBay ‘how to secure your listings’ guide. You’ll need to make sure this is the case for all active listings, scheduled listings, saved listing templates, description templates, and inventory you have not yet listed. Contact us to make your websites secure with HTTPS, We can secure your site with an SSL Certificate for just £49.99 + VAT**. ** this is an annually renewable fee.